On April 9, 2019, U.S. Customs and Border Protection (CBP) released its latest numbers from the Southwest border. Last week, I estimated that 100,000 aliens would have been apprehended between the ports of entry and deemed inadmissible at the ports of entry, along that border in March 2019. I am man enough to admit when I was wrong: There were actually 103,492, up from 76,535 the month before, a 35 percent increase over an already unbelievable flood. If only the bad news ended there. Of that 103,492, Border Patrol apprehended 53,077 aliens traveling in family units (that is at least one adult traveling with at least one child) last month, up from 36,531 family units the month before, a 45 percent increase. Border Patrol also apprehended 8,975 unaccompanied alien children (UAC), up from 6,828 in March, a 31 percent increase. At the ports, CBP officers in the Office of Field Operations (OFO) deemed 4,194 family units inadmissible, which was actually down from 4,210 the month before. This likely reflects the fact that aliens did not want to wait at ports of entry for their opportunity to claim credible fear, but decided to enter illegally to do so instead. Three fewer UACs were deemed inadmissible of the ports of entry last month than in the month before, again probably for the same reason. Interestingly, CBP has added a new category for inadmissibility, "accompanied minor child (AMC)", which is likely a minor traveling with an adult who is neither that minor's parent nor guardian. There were 100 AMCs in March 2019, up from 76 the month before, a 31.5 percent increase. Immigration and Customs Enforcement [ICE] is sharply curtailing the number of families it will hold at a detention center outside San Antonio, because the agency is unable to transport them there amid an influx of migrant families at the southern border. "The current volume of family units crossing the Southwest border has overwhelmed ICE's limited transportation resources to the point that ICE is currently only able to route a limited number of families apprehended at that border to the one other family residential center in Texas — the South Texas Family Residential Center in Dilley, Tex.," ICE spokeswoman Danielle Bennett said in a statement. Beginning Monday, ICE will temporarily use part of the Karnes County Family Residential Center to detain about 700 adult women, with a smaller portion of the jail reserved for families. Earlier this month, the facility had 528 family members detained, but by Friday that had been reduced to 63 parents and children. Officials expect the facility to return to exclusively detaining families after about three months. Because of these issues, the Post reported, "more migrants, after crossing, will be released directly into the country, where they will await an immigration court hearing — a process that can take months or years." Direct releases will simply encourage more aliens to begin the trek from their home countries to the United States. Again, this was not a question of detention space (which is also lacking), but logistics. Not that ICE could really be blamed that much for the "limited transportation resources"; again, this is an unprecedented influx of family units. Months after repeatedly dismissing and mocking President Trump's claim of a national emergency at the Southern U.S. border, the mainstream media are grappling with reality, with no less than The New York Times declaring the border crisis at "breaking point." Yet as recently as February, a New York Times fact-checker of Trump's State of the Union speech tweeted: "President Trump described illegal border crossings as a 'urgent national crisis.' This is false." The Washington Post's editorial board said "there is no crisis" at the border and called Trump's national emergency declaration "untethered from truth and reality" and a "make-believe emergency." "Mr. Trump's technique is to spin fiction as fact, secure in the knowledge that minds will reel as fact-checkers labor to deconstruct his ziggurat of falsehoods. So let's stick to one big, basic truth: There is no crisis at the southern border," the editorial said. CNN's Anderson Cooper, meanwhile, echoed many other left-wing voices on social media and implied that the fact the president went to spend his weekend away from the White House after declaring the emergency was evidence that there was no urgent problem at the border. 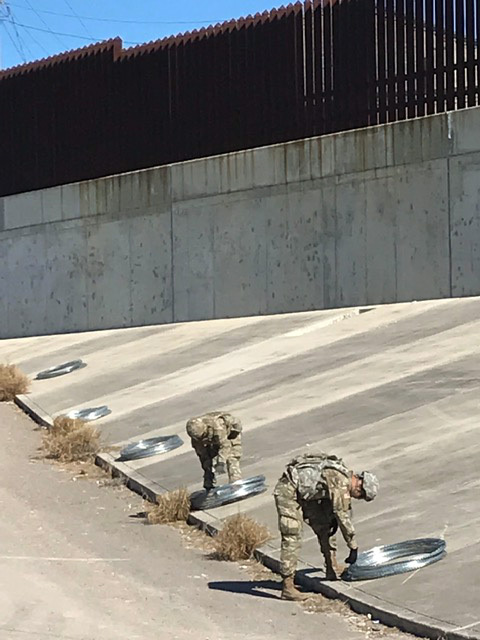 Fast forward, the same media outlets are now scrambling to accurately portray the border crisis, no longer fearing to quote top officials and their data, and declare that the southern border is at a "breaking point" amid a surge in the number of illegal immigrant crossings. And, if historical trends hold, the problem is just going to get worse. The CBP statistics show a six-year trend-line. In every year except for 2017 (directly following the president's inauguration), the number of aliens apprehended and deemed inadmissible along the Southwest border peaks in May. Most years, the increase is a gradual slope; in FY 2019, by contrast, it is a hockey stick that started its upward spike in January. According to Wikipedia, hockey season will end in late May or early June. Let's hope the disaster at the border ends before that. I am not hopeful, though.